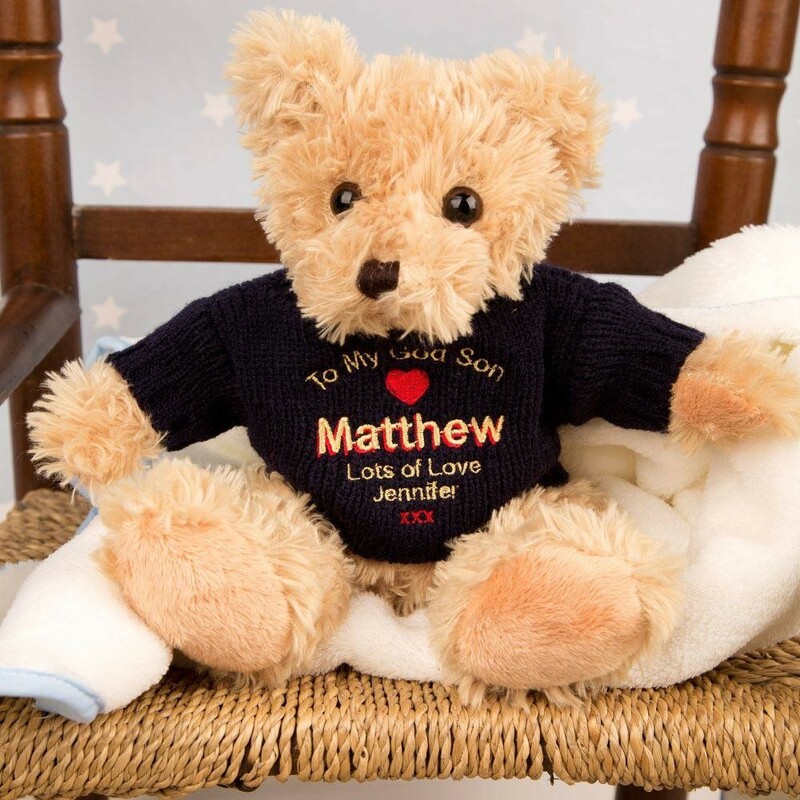 This personalised teddy bear is a cute and cuddly gift for your God Son! Suitable for any special occasion, he comes complete with his very own navy jumper. 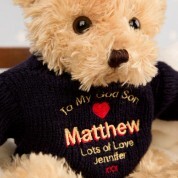 The jumper is embroidered with the text "To My God Son" and features a red heart below it. 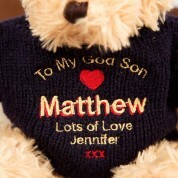 It is customised with your God Son's name and a special love from message from yourself. 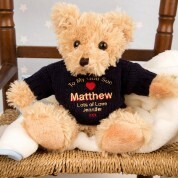 The bear will look lovely sitting in his bedroom, and is a great keepsake from his favourite Godparent!